The Constitution of the United States created a nation with a strong centralized government. 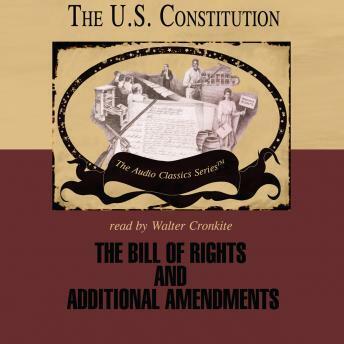 In 1791, the Constitution was amended to include ten amendments, commonly referred to as the Bill of Rights. These were guarantees of individual liberty upon which critics of the Constitution had insisted. Changing times raise changing questions. What of black rights-the right of former slaves to vote? And do women not share in that privilege? How many terms should a president serve? These and other issues were resolved through additional amendments to the Constitution. Throughout America's history, the Constitution has remained a living document. Here, each of the twenty-six amendments is presented in the unique historical context that gave it birth.